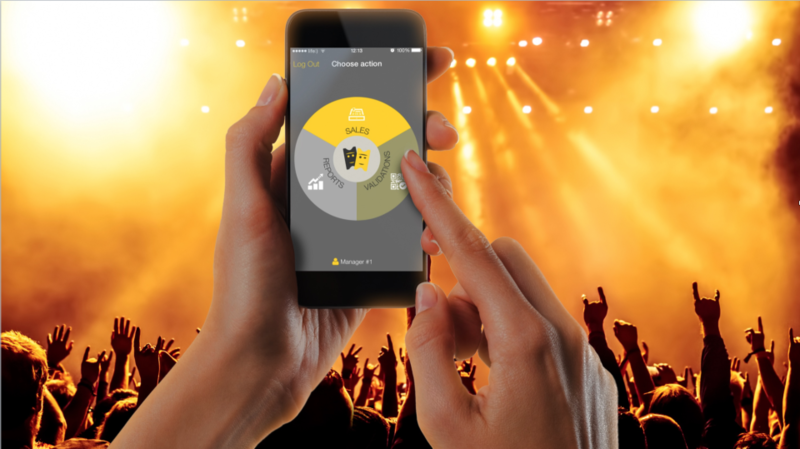 With a pioneering technology we offer an all-in-one solution for events & venues to sell more, faster and easier whilst successfully master access control without the need for costly hardware. TicketCo is the only solution for events and venues that has succeeded in eliminating the superfluous and time-consuming elements of event payments. Our services are online ticketing, omnichannel ticketing, e-Commerce event sales solution and TicketCo Cashless. We help you increase sales with lightning fast payments, cut costs without the need for costly ticket printing or verification equipment and drive incremental revenue by seamlessly integrating ticketing with goods sold and much more. Pros: TicketCo allowed us to focus on our events, and not the logistics related to tickets. The cloud based technology ensured that any modifications on the events were implemented just with a click. The admin sites are user friendly and easy to navigate through, with many good features. Cons: Some functionalities were not optimal considering multiple events at one time. One should also be able to restrict what sales personell are allowed to see related to remaining volume and sales volume in the app. 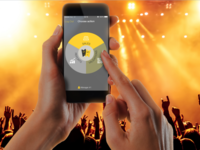 Overall: TicketCo is the best ticket management system on the market. Basicly no down-time, highly professional customer service and a fair price makes the tool desireable for any event manager. Thank you very much for such a splendid review! We are very happy to hear you are pleased with the solution! Pros: I really like that TicketCo is providing concert promotors with an easy-to-use, cheap and reliable tool to sell tickets. Other services are expensive and out-dated, TicketCo is not. Cons: I would like to have the possibility to share or send reports directly to music agents on a regular basis. Hi Anders! We are very happy to hear you are pleased with TicketCo :) Sending regular reports to music agents can easily be done by using the Zapier connector. A member of the team will reach out to you very soon and guide you through the process. The support is really good at TicketCo! Pros: I really like the admin page. I also like that you can copy events, it makes it really easy. I like the way the events looks when its done. professional. Cons: I wish that it was a easier way to take care of the ticket-buyers. That you could stay in touch with them in a easier way then just sending emails to the whole group. That you maybe even could send SMS from TicketCo. I wish it was easier to track where the ticket buyers came from. And that you could see even more statistics . Overall: I really like it! Its working very well for me and the support is amazing. Thank you! Thank you Jostein! Great to hear you are pleased with us. 1. You easily communicate with your ticket buyers by automatically sending their details into your Mailchimp account (via our Zapier connection). There you can set up segmenting, schedule emails, and use amazing graphics. 2. We do offer SMS send outs, we enable this on request. 3. To see where the ticket buyers came from is possible with a cross domain integration with your websites analytics. We are currently in the process of enabling this for all customers (it's called Google analytics cross domain set up with e-commerce). A member of the team will reach out to you to help you out with above. Pros: How easy it is to sell yout tickets both online and at the event. I've never had a coworker or customer be confused as to how it works. 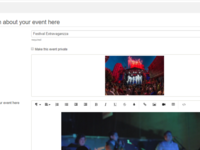 The event page on TicketCo's website is highly customizable and is a great way to get all the details about your event out there. Cons: I wish you could sell tickets on Android devices and it would be great to be able to customize the way your ticket looks when printed. Thank you for taking the time to leave the review, we really appreciate that! Currently Android can only be used for scanning/verification of tickets/goods. iZettle doesn't have SDK available for Android which means they cannot communicate with our Android app. We are awaiting iZettle to release this and we will let all our customers know when this becomes available. Regarding customising tickets - the answer is both yes and no, if you utilise a STIMA printer you can in theory customise the tickets. However not in PDF form or for email tickets etc. We hope this helps, if you have any more queries please do not hesitate to get in touch with us on hello@ticketco.uk. Pros: We will do +/- 400 events at SALT (www.salted.no) in 2017-2018. It taks me under 2 minute to announce a new concert or film night. I simply save a lot of time when i use ticketco. It is also easy to learn employees the system. You do not need to be a rocket scientist to use the system. Thank you Erlend :) Fantastic to hear it works so well! Pros: The sales reports and the overview are great, there are great reports. Something more difficult to post free tickets to many different customers. should have been a feature that could send out to 100 such as four tickets, where you could paste the email addresses of the various 100 at one time. Or I think this works excellent. Thank you Jan! We take your feedback on board and will aim to increase the flexibility of managing guestlists in coming developments. Very easy to use, and quick to update events. Easy to use and quick overview when needed. Gives control both on apps and web. Pros: Good control and that we can launch our events ourselves without waiting for permission from others. It is also easy to send messages to the ones that buy tickets etc. It is also very easy to implement with social media, especially Facebook. Cons: That I dont use all the features... yet. Sometimes a struggle to quickly get to the right place on the app. Fantastic customer service, very quick response when help is needed. Pros: It is easy to learn and to use, and it looks nice. The guys behind it are always easy to reach and willing to help and guide me through anything new. Cons: There is nothing I don't like. It is a little bit hard to figure out how to set things up by yourself if you don't have any experience using this kind of software, but everything is easy to learn with a little bit of help from the guys. Easy tool for great events! Pros: This easy and intuitive tool is an excellent way to publish your events, get an overview of ticket sales, season tickets and also to keep in touch with your customers. It links with MailChimp, and I was particularly impressed by their webcast which was really useful! Cons: I can't think of anything right now. There may be more features in the software which I haven't discovered yet, so perhaps should Ticketco try to offer more webcast and "How to"-emails? 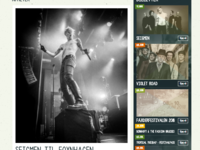 Overall: Less headache when it comes to ticket sales, a fair idea of your audience number and category, and a nice looking link to go with your webpage or Facebook page. Fantastic system with fantastic customer support from start to finish! Just what I was looking for. Pros: I was looking for an online ticketing system that offered a seating plan option for a theatre. TicketCo delivered on everything. Customisable price brackets for different seats, promo code functionality, up scaling for things like refreshments etc, free card reader for door sales. I have been really impressed, it has saved us so much time. You can link the booking system directly to your website/facebook account etc and I believe, as a result of TicketCo, we achieved much better sales this year, compared with previous events. Very impressed, certainly the best thing out there after a great deal of research into other companies. Thank you Steve! We are very happy to hear you were pleased with us. Very satisfied with the website and the overall use. Pros: Easy to use. You are in charge all the time. No need to contact support so that they do it for you. You are the boss. Thank you Elma for your review, and it's great to hear you are pleased with the product and the experience! Pros: I loves the instruction videos, it sure helped me a lot organizing my event! 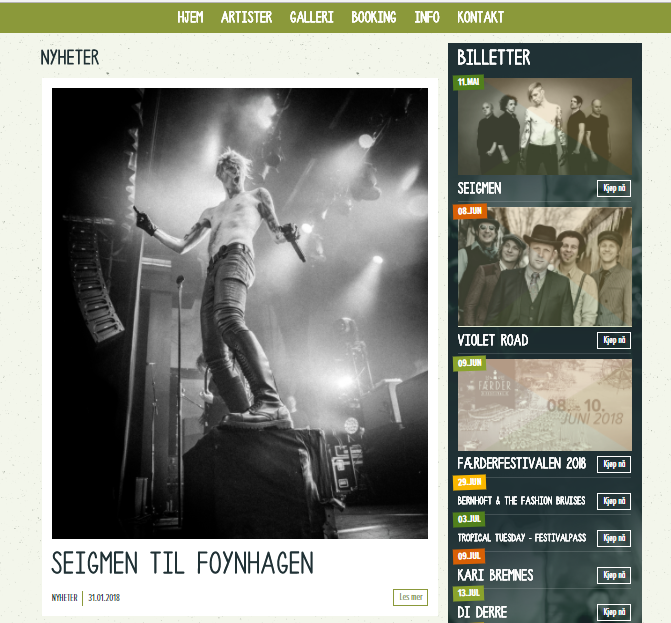 Easy to keep an ete on ticketsales with my own log in account! Cons: Was a bit confused setting up capasity for my event, but their online chat function helped me straight away. 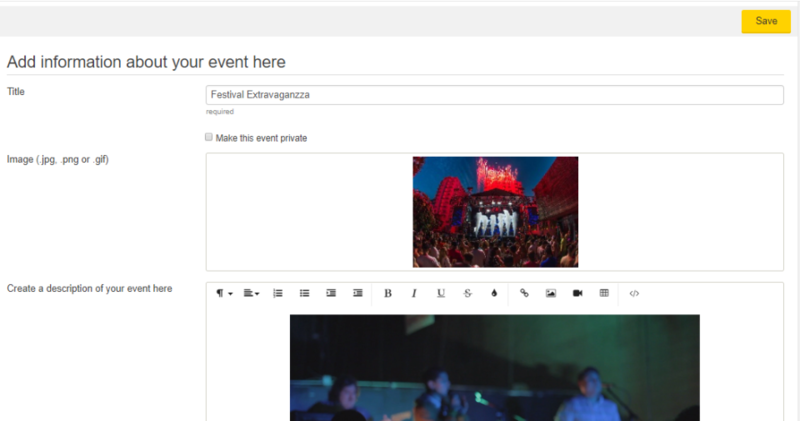 Overall: Easy to create an event, easy to keep an ete on ticketsales and overall easy set up and design. When I had questions, ticketco answered me immediately! Thank you Ingunn! We are very pleased to hear you are happy with the service. We use TicketCo for self service reservation of lockers for students at school. Pros: It simply saves time and effort! It makes the administrative work a lot easier, produces reports over buyers and makes the handling of money simple. Cons: We haven't been able to find a way to prevent one buyer from purchasing more than one ticket yet. Some of our students managed to buy tickets without registration of phone no or e-mail address. Overall: This software makes my life as a school leader a lot easier. We used TicketCo for our medium sized event outdoors. Ticketing and controlling went smoothly! Pros: The easy use and functionality of their app for controlling and selling tickets on site. Also their setup, both in the app and online, is a no-brainer. Overall: We experienced no problems with the software and would be happy to recommend this to other users and arrangers.